3.5 StarsWow. What an awesome conclusion to this duology. The first few chapters of the book were a bit slow, but all of those details were necessary to build up to the exciting conclusion. The thing I love most about Danielle Singleton's books is that it is difficult to guess the ending. She develops these jaw-dropping plot twists that just leave you wanting more. One of the characters in the book compared the killer to Dr. Jekyll and Mr. Hyde. I can definitely see the similiarities. I also think that if you took the mad scientist aspects of Frankenstein and virus hunting plot of The Hot Zone, that you would end up with something that looks a lot like this series. This book was simply spectacular. I literally read it all in one day because it was so riveting! 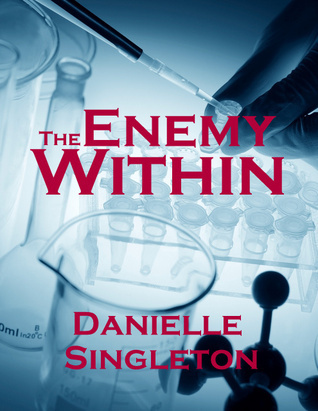 What I really like about Danielle Singleton's books are the richness of description in her characters, realistic and believable dialogue and well-researched facts behind whatever she is choosing as her topic. Each of her three books has dealt with different technical aspects, from kidnappers to the blood supply and now, water treatment. Her characters are experts In everything because she does the right research. This book had a little bit of everything, intrigue, horror in a couple of scenes readers will identify upon arrival, attraction between colleagues and numerous twists. I look forward to everything else Danielle Singleton will release in the future! I was given an advance release copy of this book and wow! Loved it! It's a great sequel to Do No Harm. I love reading the books written by Danielle Singleton, she really knows how to draw a reader in! Danielle Singleton - After many years of writing poetry and short stories, while I was in law school I finally decided to give it a go writing novels. I wrote my first book, Safe & Sound, while in law school and published it in December 2012. Since then, I've published four more novels and am working on a sixth.One quirky thing to note: I generally don't read the same kinds of books as I write. Thrillers give me nightmaresunless I'm the one who wrote it. I guess that's because I already know all of the scary parts!